LH Seam Bowler, Middle Order Batsmen. Jack Is the youngest member of the Simply Cricket team at only 15, a highly competitive and driven cricketer whose natural leadership makes him someone to keep a close eye on as he progresses up the ranks. 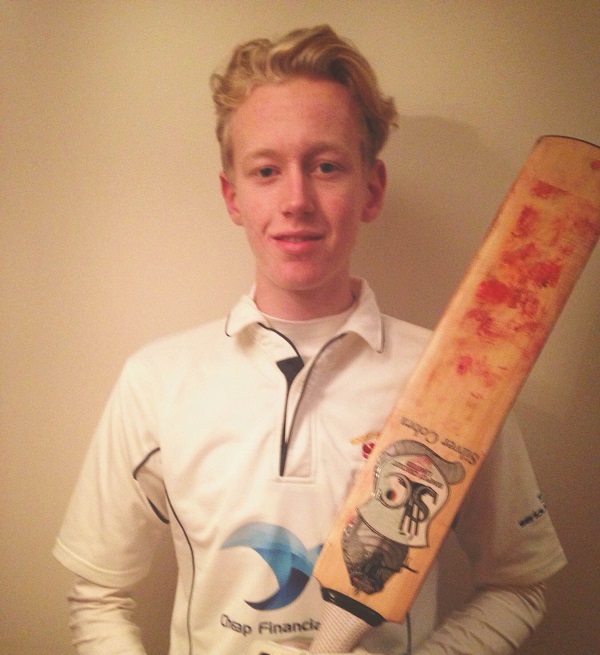 Jack has recently joined one of the largest local teams in the South Wales area and will be playing 1XI and 2XI team cricket in the Welsh premier league. On top of this Jack has been playing for his county team in the past few seasons as an opening bowler and middle order batsmen. In the 2016 Season Jack is hoping to push forward to the Glamorgan academy and has the oppurtunity to attend the Darren Lehman cricket academy in Australia as he strives for his lifelong ambition of becoming a professional cricketer. Mak sure you check our Facebook and Twitter pages for Regular updates on Jacks progress.